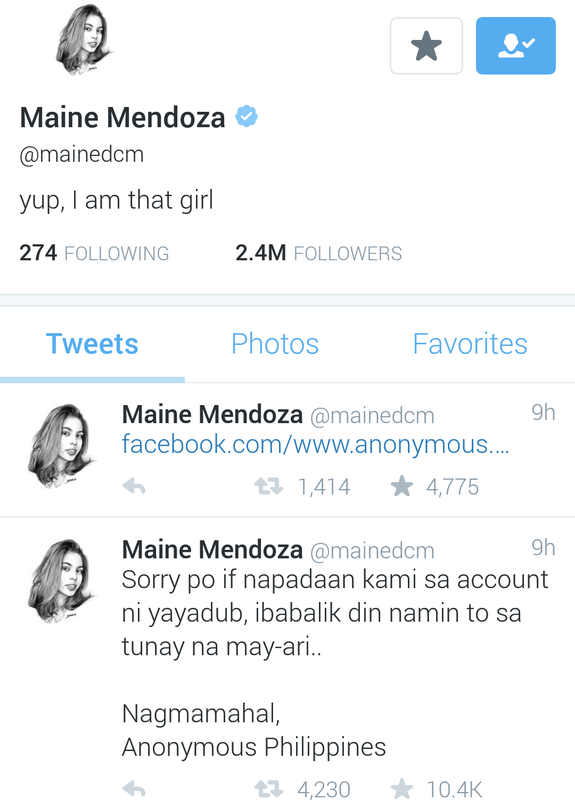 Maine Mendoza "Yaya Dub" Twitter account wasn't spared from hackers. True to Eat Bulaga and AlDub's hashtag for their November 3, 2015 episode, #ALDUBTheVisitor, "anonymous" visitors have entered and hacked Maine Mendoza Yaya Dub's official Twitter account @mainedcm. The popular Twitter profile with over 2 million followers got hacked early morning today by Anonymous Philippines so they could use it to promote their big event "Million Mask March Philippines 2015" happening this Thursday already, November 5. 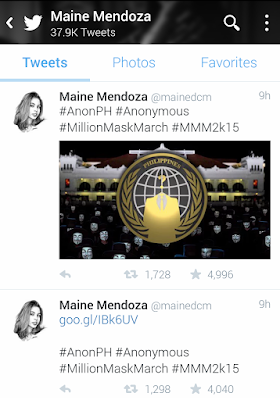 At least 5 tweets were posted by Anonymous Philippines using Yaya Dub's Twitter enraging AlDub / MaiDen fans. In their Facebook Page, Anonymous Philippines has issued an apology, also explaining their side on why they had to hack Yaya Dub's Twitter account. They also assured the fans that they already returned the account to her. Dear fans of Aldub, we sincerely apologize for the recent intrusion of your beloved Idol's Twitter account. You can rest assure that we don't have any malicious intent towards the said individual or any programs pertaining to that person. 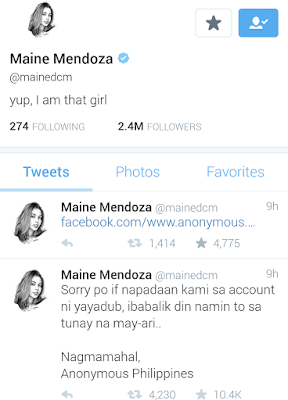 We just wanted to send a message to the public, and using Maine's account is one of the easiest way we could find. Rest assured that we are doing our best to contact the respectful owner of the said twitter account with the purpose of giving them back their access. We already know we will get a lot of negative comments.But sometimes, you must give a sacrifice for the cause. ~Anon"
After claiming back her Twitter account, Yaya Dub has already posted a new tweet yet nor deleted those unauthorized tweets by the hackers. "Bawal ang sad, dapat happy! 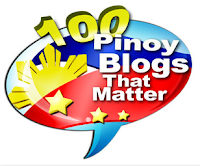 Kamusta kayo?